The BEHRINGER PRO MIXER VMX300USB is a professional 3-channel DJ mixer with USBaudio BPM counter VCA control and massive software bundle. 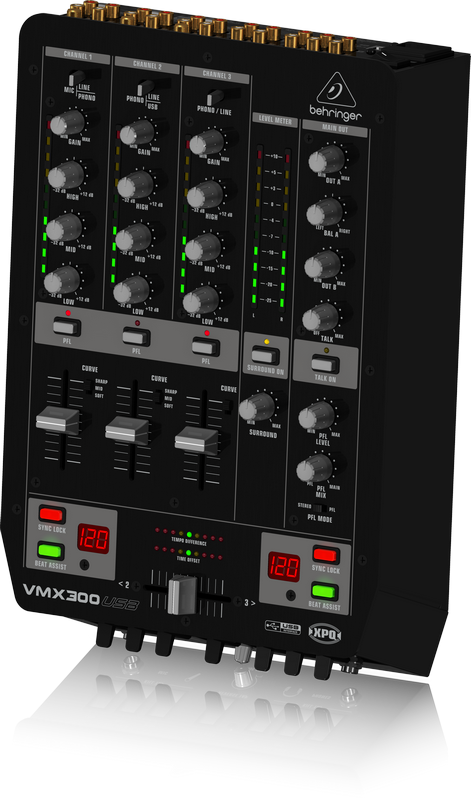 The VMX range of DJ Mixers are built to connect directly to your computer and take your music straight into the digital realm in an instant. These mixers allow you to record and play any digital music file with your PC or Mac computer with no setup drivers required You also get a massive software bundle to transform your computer into a full-fledged music production and editing studio.